The World Nomad Games were initiated by the government of Kyrgyzstan, to highlight and preserve the world’s nomadic cultures and historical heritage through the revival of traditional games and competitions. 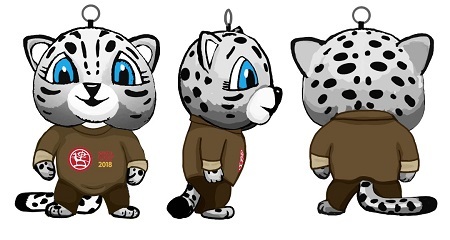 By making Snow Leopard the mascot, the organizers of the Games hope to bring extra attention to the plight of this unique animal and to saving its habitat. We are pleased to report that our Land of Snow Leopard Network will be represented at the Games! Kuluipa Akmatova, Project Coordinator with Rural Development Fund, and LOSL Network member, has been invited to bring a troupe of middle and high school students to participate in the cultural program. 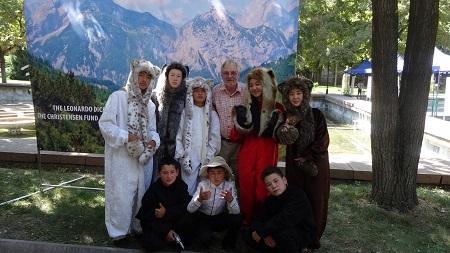 With funding provided by the Conservancy and wonderful costume additions provided by SpiritHoods, the kids will perform the play Snow Leopard, which is based on the traditional precept that tragedy will befall anyone who kills a snow leopard. 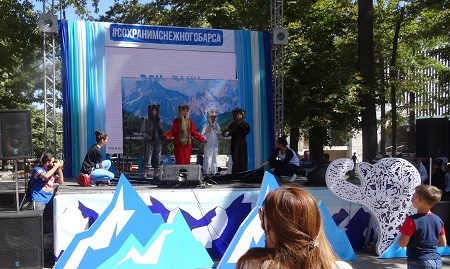 The World Nomad Games to be held in September will draw some 3,000 athletes from 77 countries to compete in 37 types of ethnosports, from archery to wrestling to horse racing to eagle hunting. More than 10,000 spectators and media personnel are expected to attend. This is a remarkable opportunity for our Network to advance it’s goal of creating pathways for indigenous participation in snow leopard conservation!